Happy Friday friends! Popping in quick to share with you all an outfit that I have been loving these days. 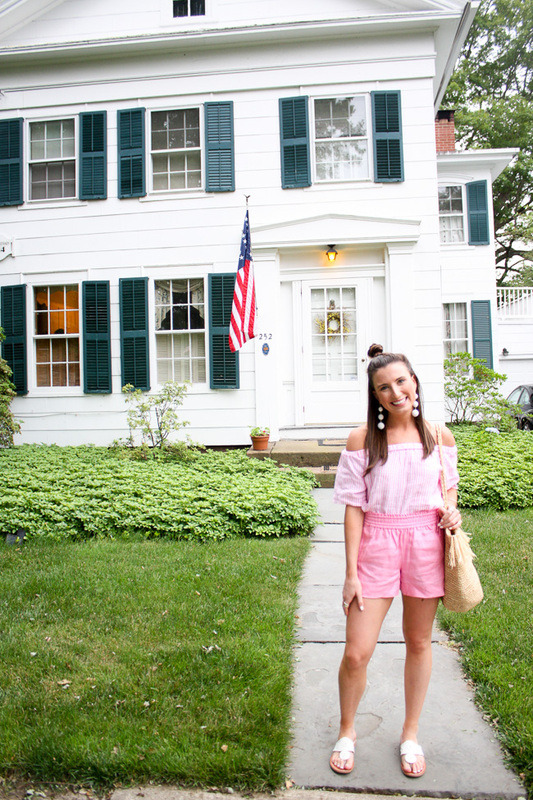 It's no surprise that pink is my favorite color - see here, here, and here - so naturally I fell in love with both of these pink linen pieces. I mean how could you not!? 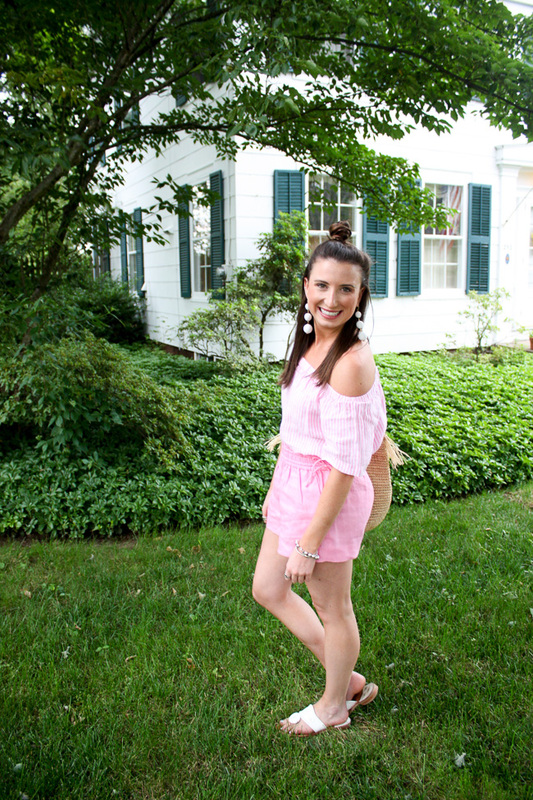 So fun, bright & feminine, and plus super flattering with a summertime glow! To be honest, when I first thought about pairing these two pink pieces together, I was a little nervous it would be too much. However, I determined there was no such thing, and a look in the mirror quickly confirmed that. I mean how freakin' cute? 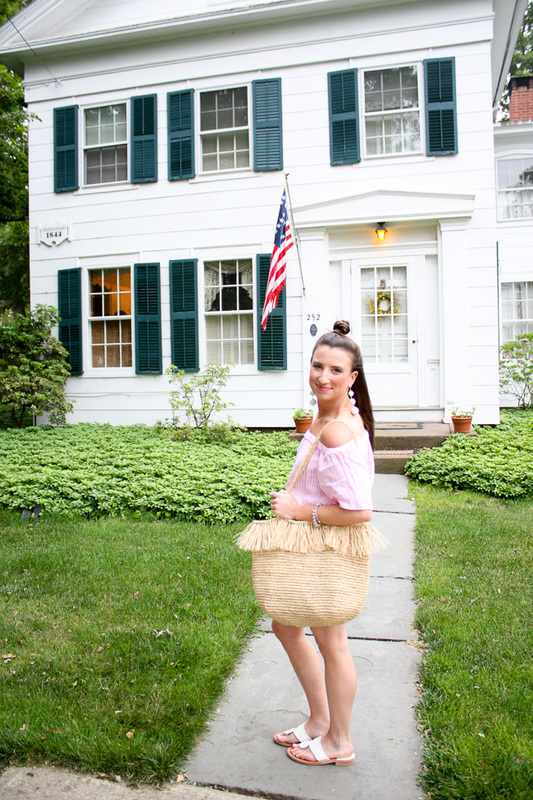 It's easy and breezy for these hot summer months, makes me feel put together and feminine without trying too hard, and pairs great with a classic straw tote and a pair of classic Jack Rogers. What could be better!? 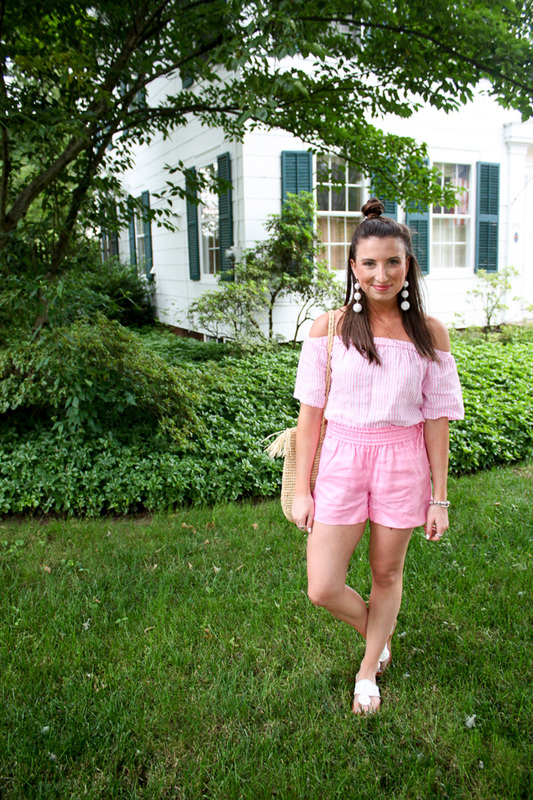 Sadly the stripe off the should top is sold out, but I have linked a ton of other pretty pink options below that would look equally as cute. 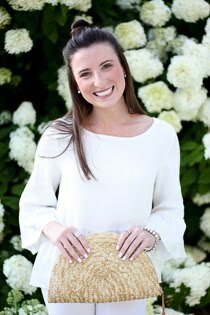 The shorts are almost gone too, so snag them while you can! They are honestly some of the most comfortable shorts I own, so hurry! Check them out and all my other pink picks below. Enjoy!